Apropos of the ongoing Rec Commission situation, Newton BOC Chairman Marcello Banes has officially informed both Josh McKelvey & Steven Rhoades that they have both been removed from the Board of Directors of the Recreation Commission "for cause." Previously Councilman McKelvey had sent a letter in response to the Chairman's previous letter that stated that the Chairman did not have authority to do so, and that any oversights regarding the procedures of terminating a civil servant were incidental & unintentional. I spoke with Marcello last week and he seemed to have a running theme - there needed to be a corrective measure since proper procedures were not followed, accidental or otherwise. So...from what we can see, the esteemed BOC Chairman wants to do the exact same thing he's accusing the Councilman of. In Banes' letter (or most likely that of his attorney) case law from the 19th century was referenced. A couple of other inapplicable cases were also brought up, in our estimation. Per the OCGA & the charter of the Recreation Commission, the Chairman of the Board of Commissioners does NOT have any legal authority to remove members of the board. Furthermore, the charter clearly states that the City of Covington will "furnish" their representative. The legal definition of that word makes it abundantly that the Newton Co. BOC has no authority or mandate here. What it appears the Chairman has done is precisely what he's accused Messrs. McKelvey and Rhodes of. 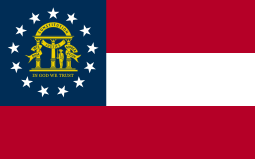 And per our information, Newton Co. will be notified of pending litigation, possibly as early as today, for this egregious overreach and violation of Georgia law. So, possibly add another lawsuit to the docket.